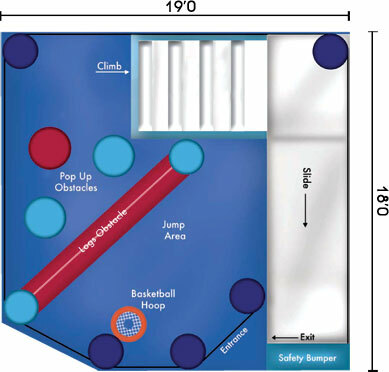 This huge 5n1 wet/ dry combo features a bouncing area, basketball hoop, obstacle course, slide, and climbing steps. 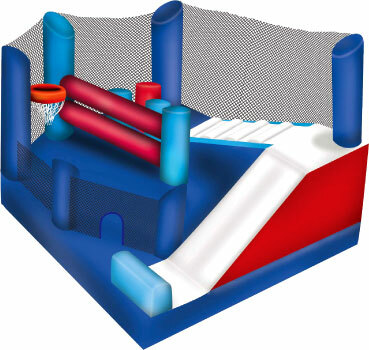 You can rent it as dry or wet (slide). 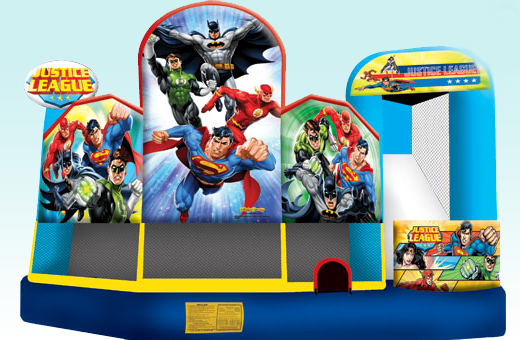 Great fun for any event!! Dimensions: 18ft. × 19ft. × 15ft.